CLOSEOUTS. 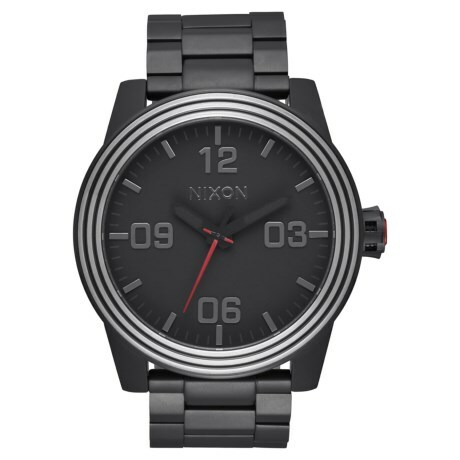 Nixonand#39;s Corporal watch offers functional style with a large, easy-to-read display, sleek stainless steel construction and a modern aesthetic. Available Colors: KYLO BLACK.